We created Car Wash with a careful balance of powerful cleaning and exacting care. You can wash your car thoroughly while protecting your wax. It’s not just about bubbles—various dishwashing liquids and “soaps” can harm your wax. Our Car Wash is strong enough to wash away dirt, road film, bugs, bird droppings, airborne pollutants and other grime, without removing wax or dulling the paint. 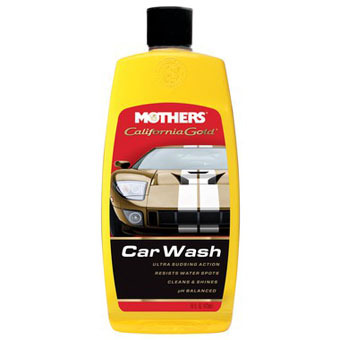 Mothers® Car Wash is pH balanced, super-sudsy and also resists water spotting. Thick, rich and easy-to-use. Gently deep cleans and brightens chrome bumpers, wheels, trim and accessories. Advanced polymers help protect against fingerprints, spotting, rust and corrosion. 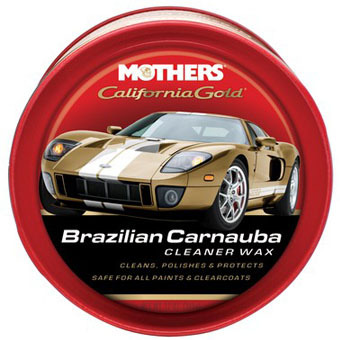 Mothers® California Gold® Chrome Polish will not streak, scratch or smear. Safely cleans and protects glass and mirrors. You’ve heard about clay bars—professional detailers, body men and your car buddies all talk about how they work. Now use the clay bar everybody wants. Created to remove the particulate debris and contaminants that washing and polishing can’t, our exclusive Clay Bar System will remove embedded grains of metal, tree sap, airborne environmental deposits and paint overspray. Better yet, our clay bar isn’t hazardous to your paint—it’s just firm enough to pick up the bad stuff, without being too aggressive. 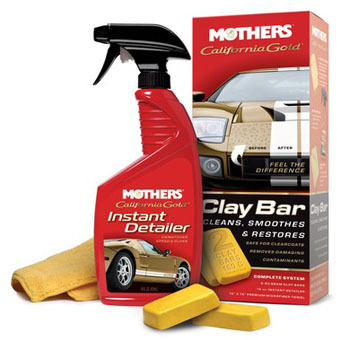 Use Mothers® Clay Bar to get rid of paint fouling grime and pave the way for complete waxing. Regular application of Mothers® Micro-Glaze will increase your paint’s depth and luster. Whatever the color, it will give your paint added character and a brilliant, glowing shine. Micro-Polishing Glaze fills and hides minor swirls and defects, minimizing unsightly visual imperfections. It also contains a super-fine polish that further improves the paint surface. Micro-Polishing Glaze is key to giving both light and dark colors their perfect finish. This is the final step on the path to a beautiful finish. 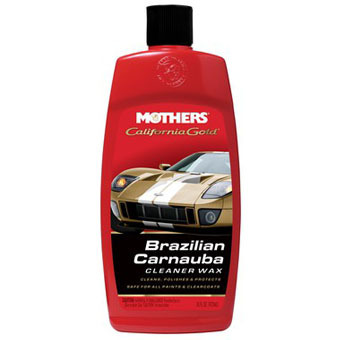 Mothers® Pure Brazilian Carnauba Wax is made with the finest Brazilian #1 yellow carnauba for superior shine and protection. It is non-abrasive, so use it as often as you like. You can apply more than one coat to keep your efforts well protected. 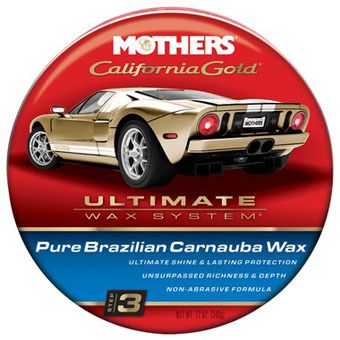 For unsurpassed shine, depth and protection, trust Mothers® Ultimate Wax System®. This is the foundation of the Ultimate Wax System®,;, preparing your paint for Micro-Polishing Glaze and Pure Brazilian Carnauba Wax. Pure Polish removes oxidized paint, old wax buildup and other contaminants, cleaning and shining your paint. This mild polish smoothes the edges of larger imperfections and removes small scratches. Your paint’s appearance is dependent on a good polishing — Mothers® Pure Polish should be used at least once or twice a year. There are areas of your paint’s finish that see more abuse than others: on the edge of doors and the trunk lid, around the door handles, keyholes, at the hood latch, etc. 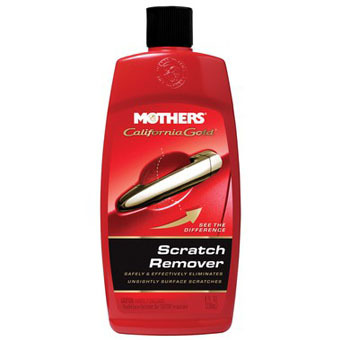 What you need is a scratch remover. 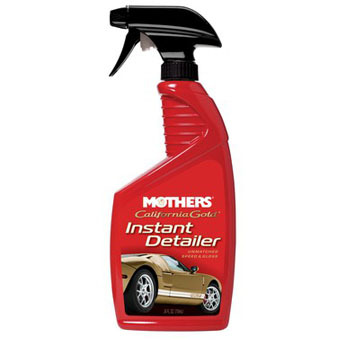 Mothers® Scratch Remover works on any sort of paint, any sort of finish, to help restore high mileage paint and remove surface scratches. 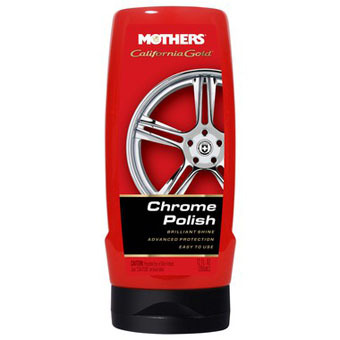 This is a true polish—be sure to chase it with the standard regiment of waxing to properly seal and protect. Treat your paint to a showroom sparkle that’s wet and striking. 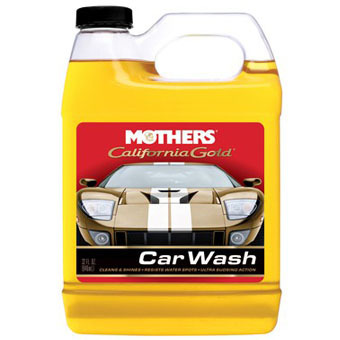 Whether you want to clear a layer of dust or prepare for the judges, use California Gold® Instant Detailer. Its unique formula will clean off fingerprints, smudges and dust, and hide minor imperfections and spider-webbing. Showtime® is designed with color enhancers and shine fortifiers, ready whenever you need your ride to look freshly detailed. 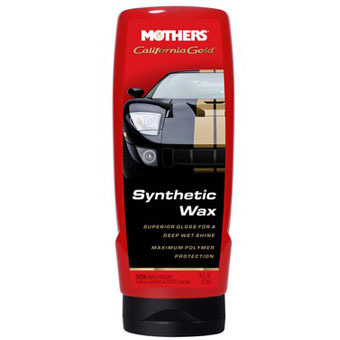 Mothers® California Gold,® Synthetic Wax provides unparalleled depth, shine and protection in an easy-to-apply, effortless-to-remove formula. Our specially formulated microen capsulated polymers form a chemical bond to protect your paint’s surface, while ultra-fine polishes bring out the gloss and luster you've come to expect from Mothers®. 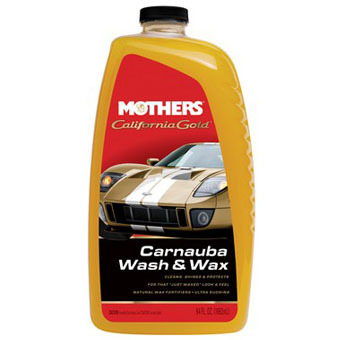 Mothers® Carnauba Wash & Wax is the quick and easy way to clean, shine and protect your paint. 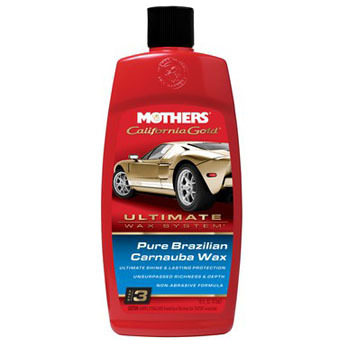 Used between regular waxing, Carnauba Wash & Wax easily dissolves and removes stubborn road grime and dirt, all while boosting your existing wax - giving you that “just waxed” look and feel. Powerful, ultra-sudsy, biodegradable and pH balanced, this wash & wax has it all, making the perfect addition to a well-maintained finish. Featuring an environmentally friendly formula and quick rinse, you’ll be left with a spot-free shining finish. 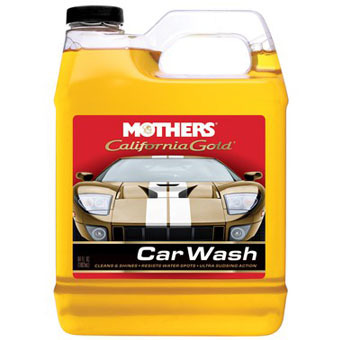 Mothers® California Gold® Water Spot Remover is designed to remove stubborn hard water spots and stains from any exterior glass surface. Powerfull mineral-disolving agents scrub away sun-baked sediments, salt spray, tree sap, road grime, bugs and paint overspray. 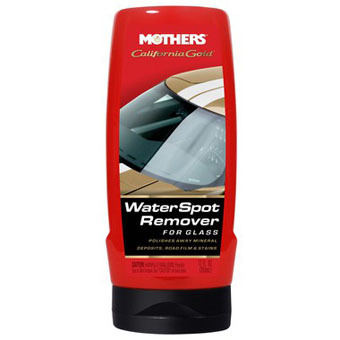 Use Mothers® California Gold® Water Spot Remover on exterior glass windshields, windows and mirrors.